GREEK. Philistia. Gaza. AR obol (7mm, 0.66g). Struck fourth century BC. GREEK. Philistia. Gaza. AR obol (7mm, 0.66g). Struck fourth century BC. Male head r. / Horse forepart r. Gitler and Tal VI.2Oa. GREEK. Philistia. Gaza(?). Mid-fifth-fourth century BC. AR fraction (8mm, 0.63g). AS FOUND: GREEK. Philistian. Uncertain mint. AR quarter shekel (13mm, 2.92g). 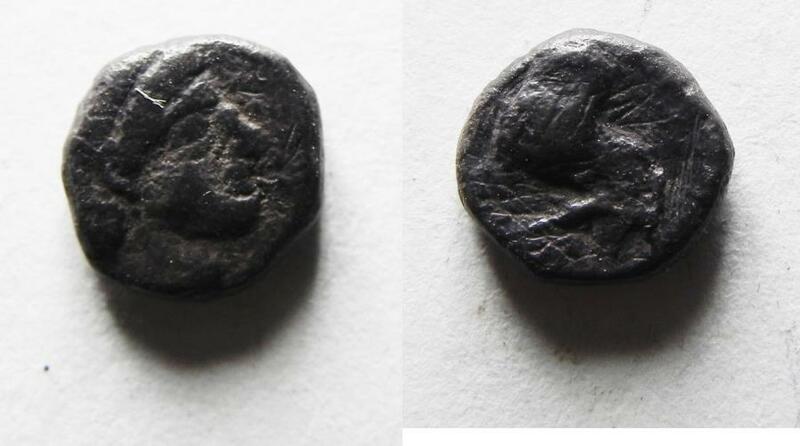 Struck c. 450-400 BC.